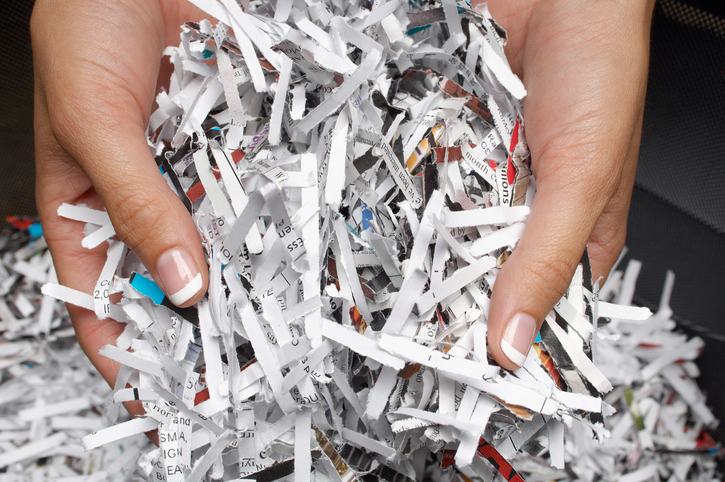 Take a look at our tips on what documents to shred, and which to keep. Document destruction is very important in various industries, as many companies print sensitive information that should not get into the wrong hands. Whether you are a scanning client; simply performing an annual document purge; or want a scheduled weekly pick up, use Micro Records document destruction services to ensure that your information will be safely and securely destroyed. Before starting your document destruction process, it’s crucial to know what items you need to keep and which can be securely destroyed. Tax returns: While you may hear some people say that you should keep your tax returns for up to seven years, but the best practice is to keep them as long as possible. You never know when you will need to file an amended return. Also, if you’ve claimed a loss, you should keep the supporting paperwork in a safe and secure place. Property records: Businesses should not destroy their property records for as long as they own the property- and even until the period of limitations ends if the property is sold. Business Office Improvement: If you own your office, be sure to keep records will information of any improvements. Holding onto these documents may reduce your capital gains tax when you sell the office or building. Receipts: Unless you are keeping a receipt because it is deductible or the item is under warranty, your receipts should be destroyed. First, reconcile your receipts with your bank, then send them to a company like Micro Records to ensure they are safely destroyed. Travel Itineraries: Take out any receipts needed for taxes if you were on a business trip, then shred your itinerary and any tickets you used on the trip. Credit Card mail: Some people disregard credit card mail as “junk mail,” but it’s important to open these. You may also be tempted to throw it in the trach, but even if you tear it in half, it is still dangerous to leave in the trash can. Instead, make sure it’s securely destroyed by sending it in to be shredded. This entry was posted on Friday, March 23rd, 2018 at 8:46 am. Both comments and pings are currently closed.